Army Sergeant Ricardo PerezRamos went on his first deployment in 2011 to Afghanistan as a tanker with the 1st Platoon, 2-34 Armor, 1st Infantry Division. On Nov. 20, 2011, SGT PerezRamos was on a foot patrol when he stepped on an improvised explosive device (IED) in Kandahar, Afghanistan. He immediately lost his left leg in the blast, and also sustained a spinal cord injury, severe burns, and a broken pelvis. Conscious following the explosion, SGT PerezRamos was put in a medically induced coma throughout his transport back to the United States. He awoke a month later at Brooke Army Medical Center in San Antonio. 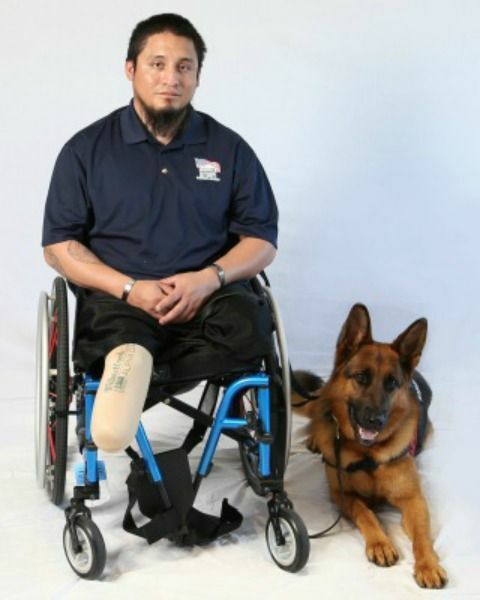 SGT PerezRamos spent four years in rehab and has undergone 100 surgeries. After enduring years of pain, his right leg was also amputated in 2014. He credits his wife, Darilyn, as being a source of strength throughout his recovery. Ricardo began walking on his prosthetics eight months after his injury and is now hoping to be a member of the U.S. National Sled Hockey Team. “When I am on the ice, I have no worries – nothing else matters,” he says. In addition to sled hockey, Ricardo enjoys hunting, fishing, and clay shooting. Though Ricardo excels in these outdoor activities, he still faced challenges in his previous home. The doorways and hallways were too narrow for his wheelchair. He had trouble accessing the laundry room, bathroom, and kitchen. His specially adapted custom Homes For Our Troops home allows Ricardo to enter every part of the home, making it easier to do routine activities such as cooking or washing dishes. Ricardo says the home is beneficial for his son Brian and two daughters, Ariadna and Sophia. Living in a safe, stress-free environment gives him more energy to spend with his family outdoors. Not having the financial burden of a mortgage, he is able to allocate more funds to supporting his children through school. Originally from Massachusetts, Ricardo chose to build his home in Texas.